Even if fans of the Assassin’s Creed games were disappointed by Ubisoft’s decision not to release a major game in the series this year, thankfully they have the upcoming movie starring Michael Fassbender and Marion Cotillard to look forward to. 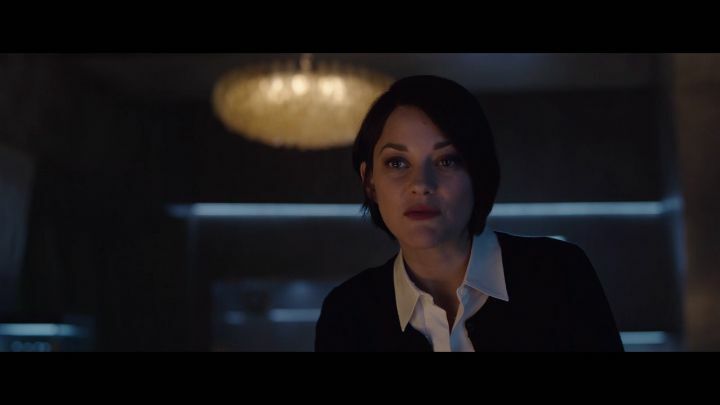 But never mind, as we also get to see Hollywood veteran Jeremy Irons playing his role of Alan Rikkin (the head of the movie’s evil Abstergo Corporation) in a scene with French actress Marion Cotillard, and it’s likely that both Academy Award winners will add a lot to director Justin Kurzel’s film. Also, like in the earlier trailer, Aguilar’s (the ancestor of Michael Fassbender’s character in the movie) leap of faith from a cathedral tower in 15th century Spain does look terrific, which is a great thing taking into account that performing the leap of faith was surely one of the high points of Ubisoft’s games. Although the movie is looking good, given its huge budget it will likely have to appeal to general audiences and not just fans of the video games to be an unqualified success. But Ubisoft, which is heavily involved in the making of this movie through its Ubisoft Motion Pictures studio, is likely hoping that Assassin’s Creed can match the success of the recently released Warcraft movie, which is now the top-grossing video game movie of all time. So it would be a great thing if this Assassin’s Creed movie turned out to be a hit (and was well reviewed too), making 2016 a great year for fans of the long-running Assassin’s Creed video game series. Next: Is Nintendo’s NX already in hot water?